Radioactive Materials and Wastes covers materials from a wide range of sources that emit radiation of different types, at levels that impact human health. Radioactive materials are used for power generation, military purposes, for treatment and analyses in the medical sector, for material control and treatment in industry, products of daily life and in scientific applications. Radioactivity is the sign that matter is decaying in order to reach, according to the law of physics, a better energetical state. As materials decay, they emit radiation, eventually disintegrating entirely and becoming innocuous. For some materials, this process can happen in a fraction of a second. For others however, it can take as long as millions of years. There are four basic types of radioactivity that affect human health: Alpha, Beta and Gammy decay and Neutron radiation. Each poses a particular type of threat to human health1. Radioactive waste is categorized broadly as high or low level waste. The former results primarily from fuel used in civilian or military reactors, and the latter from a range of processes including reactors, and industrial and commercial uses. High-Level Waste typically refers to ‘spent’ fuel from a nuclear reactor. Most reactors are powered by uranium fuel rods, which is at the beginning only slightly radioactive. However, when the fuel rod is ‘spent,’ or used, it is both highly radioactive and thermally hot. Radioactive materials will reduce their activity with a so-called half-life time. The half-life time is the time required for reducing the activity to half of its initial value. Radioactive half-life times can span from fractions of a second to millions of years. Radioactive materials cannot be treated, but only become harmless when they have finished their decay. Because this can take millennia, these materials must be stored appropriately. There are worldwide efforts to find ways that high-level wastes can be reliably sealed off from the biosphere for at least a million years in so-called final repositories. The issues surrounding the long term storage of high level waste are complex and often controversial. Given the levels of hazard involved, this matter is essentially a government responsibility. Low-Level Waste includes material that has only a small decay activity or has become contaminated with or activated by nuclear materials. This can be clothing used in nuclear industry, medical materials, spent radiation sources or materials from inside of reactors. Uranium Mining and Processing Wastes are a special category of (normally) low level wastes, which are of major concern because of the volumes of radiating materials concentrated in usually a small area, thus creating an overall hazard. While uranium is mined around the world, some of the biggest producers are low-income countries. Indeed, of the ten largest producers of uranium, seven are in areas where industrial safety standards do not always correspond to the best industrial practices: Kazakhstan, Russia, Niger, Namibia, Uzbekistan, Ukraine and China2. Typically uranium concentrations can be as low as 0.1 to 0.2% in mined ore, meaning that well over 99% of what is mined is rejected after processing. Once mined, ore must be milled to produce useful uranium concentrate. Milling is the process of grinding the ore and adding chemicals, usually sulfuric acid, to extract the uranium it contains. During milling, other constituents of the ore are released as well, including toxics like arsenic and lead. The byproduct of milling is a toxic sludge of tailings. Because of the low concentration of uranium in ore, nearly as much sludge is produced as ore is mined. This leftover sludge contains a high amount of radioactivity – as much as 85% of the initial radioactivity of the ore. 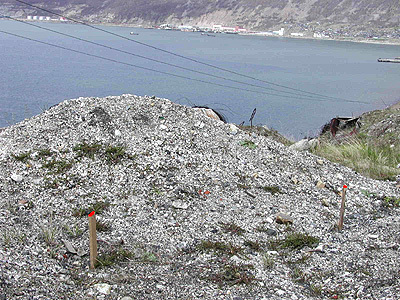 The tailings contain low-grade radioactivity but can be dangerous because of the very large quantities that are stored in rather small areas. Additionally, ground or surface water that is pumped away from the site during mining operations can also contain low levels of radiation and therefore contaminate local rivers and lakes. Unless properly managed for long term stability and security, mining waste and milling tailings present a serious threat to human health, mostly through seepage and leaking of radioactive material. In this context, such mines have all the hazards of any poorly controlled hard rock mine, plus the special hazards of radioactivity. In the worst cases, mines have been developed in areas where seismic fault lines make tailings are particularly vulnerable to leakage3. And at some sites, tailings have been used in home construction. Unfortunately, because so much uranium mining happens in the developing world and often under the control of agencies whose objectives are production rather than safety, large amounts of toxic tailings continue to pose a threat to humans daily. Exposure pathways are multiple. Contaminated water and food dusted with fine materials carried by the air can result in ingestion of Alpha and Beta particles, which are dangerous when taken into the body through food, water or air. 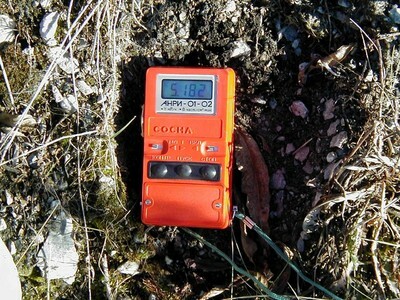 Proximity to radioactive materials – not only loosely secured dumps but also roads or other structures built with mining wastes – can result in exposure to Gamma particles and neutron radiation. Radioactivity impacts the human metabolism in a wide variety of ways. Its effects can be dramatic, attacking all body functions in cases of severe exposure but more commonly seen as causing a range of cancers from exposure over a period of time or impacting the genetic code, which can result in health problems transmitted to the following generations. There is no ‘safe’ level of radiation exposure. High exposures can result in death within hours to days to weeks. Individuals exposed to non-lethal doses may experience changes in blood chemistry, nausea, fatigue, vomiting or genetic modifications. Children are particularly vulnerable. Radiation has an effect on the cellular level. As children grow they divide more and more cells. There is therefore more opportunity for that process to be interfered with by radiation. Fetuses exposed to radiation can result in smaller head or brain size, poorly formed eyes, abnormal or slow growth and mental retardation4. Some countries have well regulated industries and manage radioactive waste appropriately. In particular, there are regimes in place, nationally and internationally, for managing high-level radioactive wastes. However, in others, especially the poorer ones there is little appreciation of the scale of the hazards related to uranium mining and processing wastes and little or no industry or government effort to deal with the problem. The approaches to dealing with some mining wastes are similar to those required to contain and stabilize any mining waste, with the additional need for much increased effort to reduce or eliminate critical pathways such as use of contaminated water sources or food production on polluted soils. Given the very poor and remote areas where uranium mining is often located, the options for the local population may be very limited. In these places, Green Cross Switzerland and Blacksmith Institute try to identify local partners and where possible implement projects to address some of the highest priority challenges. Calculating the level of radiation. Muslyumova, Russia. Photo by Blacksmith Institute. Radioactive Slag. Russia. Photo by Blacksmith Institute. Geiger counter. Russia. Photo by Blacksmith Institute. 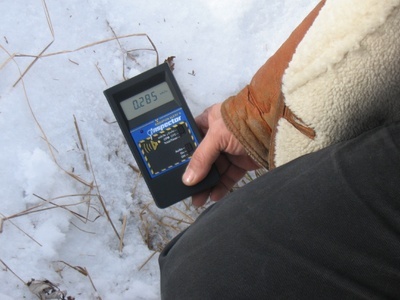 Assessing radiation in Magadan, Russia. Photo by Blacksmith Institute.